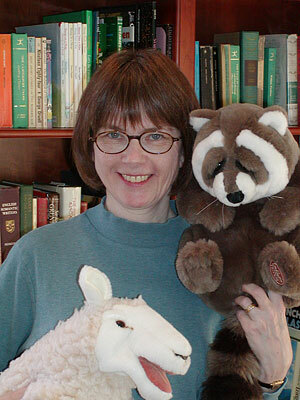 Me and my favorites--sheep, raccoon, and books. 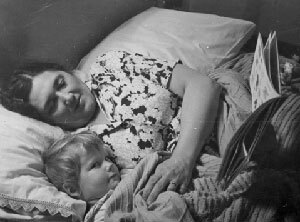 Grandma read to me when I was very young. I visited a farm and fed a sheep. I gobbled up books when I was growing up. I loved Half Magic, My Father's Dragon, Uncle Scrooge Comics, and many more. We didn't get a TV until I was almost finished with third grade. My family played word games on the long car trips we took, so I enjoyed fooling around with words. I studied English literature in college and graduate school. I'd been intrigued by picture books for a long time, but reading to my children made me much more tuned in to them. My daughter and son loved silly stories. 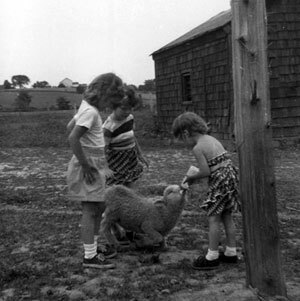 We were on a dull car trip in 1982 when I tinkered with animal rhymes, which turned into Sheep in a Jeep. Sheep on a Ship, Sheep in a Shop, Sheep Out to Eat, Sheep Take a Hike, Sheep Trick or Treat, Sheep Blast Off!, and Sheep Go to Sleep have followed. When raccoons made a mess of our garbage cans, I was exasperated, but I had to admire their can-do spirit. I imagined them singing cheerfully about their garbage raids. The result was Raccoon Tune. Elena's Story was inspired by a trip to Guatemala. It's quite something to see stories take shape as picture books, especially when artists like Kristina Rodanas, Margot Apple, and Howard Fine add so much to them! of these sites, which are independent entities and solely responsible for their content.